If you ever been to a Thai restaurant in your area, you might have noticed this drink because of its flashy orange color. I’ve never heard of it before until I went to eat Thai with friends and a friend of mine order this drink. 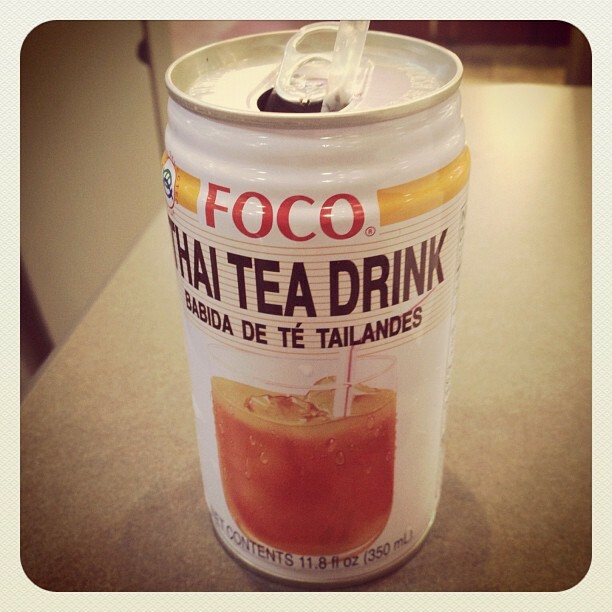 I was very curious because I love everything tea…and I have never heard of “Thai Tea” before. When the drink arrived my friend let me have some, and it’s true the taste was pretty unique. Since it was a new thing to me, I needed to know everything about it, and its origin etc. I tried a lot of them in New York, Philadelphia etc. Bubble tea versions, restaurant version, canned version (Might have gained 4 pounds thank to this “explorational effort” :p but well…). I didn’t go to that many Thai restaurants when I used to live in Europe (I might never been to one there actually). And New York City, Philadelphia and other big cities I guess have a countless numbers of them. Actually, the “original” Thai Iced tea is a mix of a strongly brewed black tea (Chinese black tea usually), spices (star anise, orange flowers, vanilla, clover, cinnamon…), sugar+++, condensed milk, (I got lost with the evaporated milk thing, so some versions add sugar then evaporated milk), and this red food coloring (in my opinion not necessary). 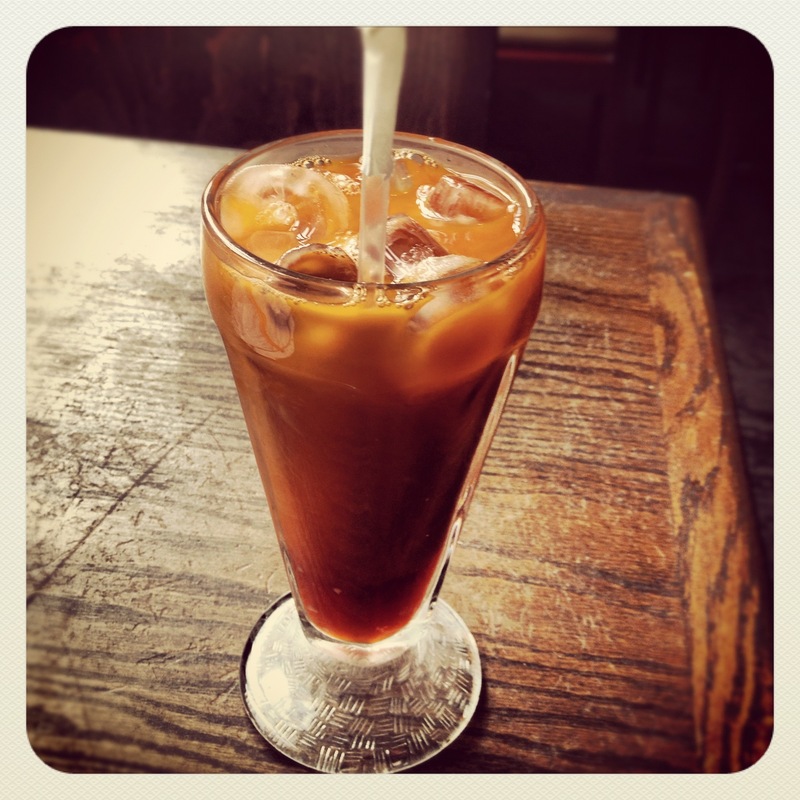 Most Thai restaurants use sugar and condensed milk to make Thai Iced tea. Lots, and lots and lots and …yeah lots of sugar! That’s why, to me it’s not just a « drink », it’s literally a drinkable dessert. Thai Iced tea is very popular with girls for some reason. 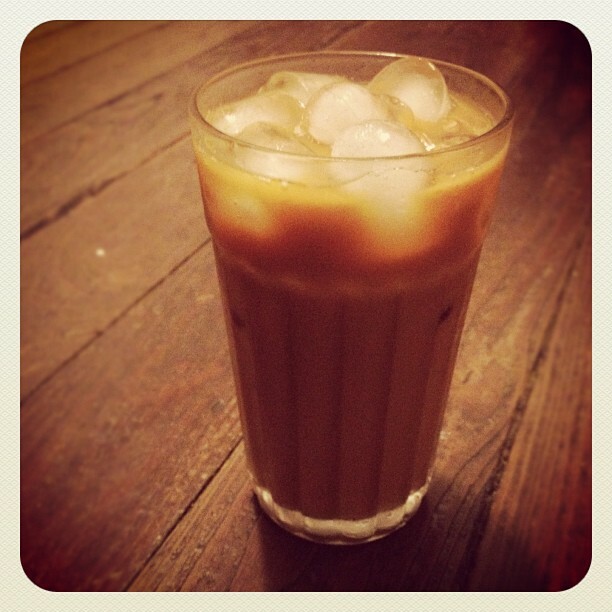 I’ve read a lot of blogs, or threads about Thai Iced Tea and how (usually girls) crave for it. Now Bubble teas are not only popular with teenage girls, but with a larger crowd. 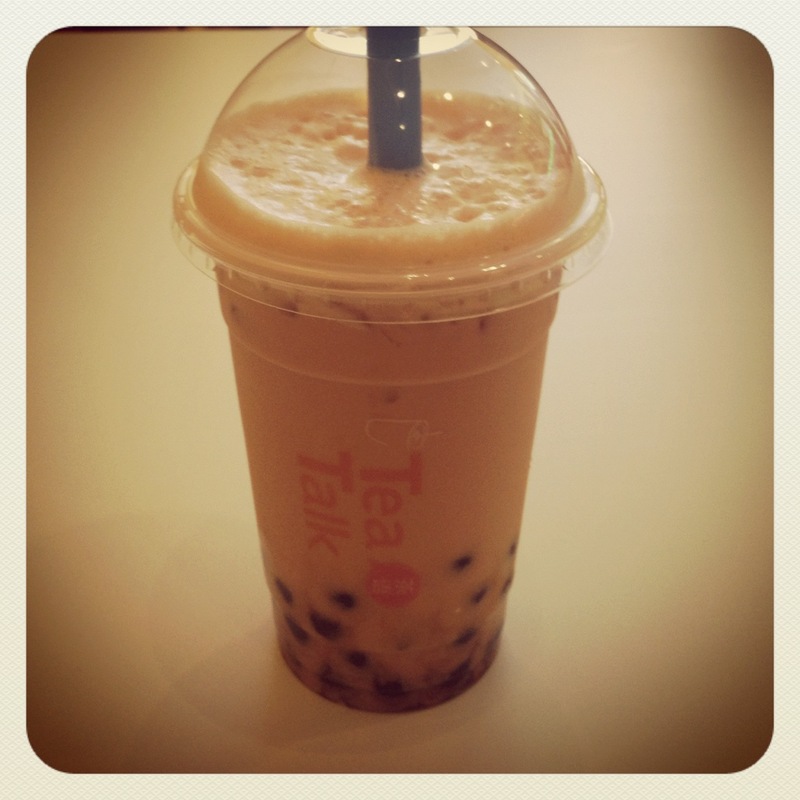 You will be able to find a « Thai Bubble Tea » version in most Bubble tea places. In one of the community threads I found someone mentioning a canned version for anyone interest in satisfying irrational cravings. In some places they actually sell them. (At The Little Thai Market inside the Reading Terminal Market, Philadelphia). There is actually a Philipino store online selling them, if you’re thinking about ordering call them first to make sure they’re not out, it’s $1 the cane. If you’re on Yelp and like Thai food, you can also check my Thai Places reviews.